I love the story of Paul. If you’re not familiar with it, you should totally read Acts 9, but I’ll give you a brief rundown. 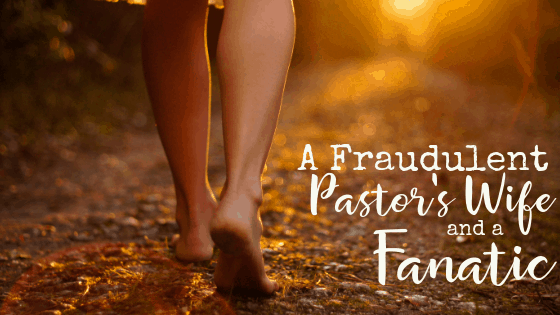 This post, A Fraudulent Pastor’s Wife and a Fanatic, contains affiliate links for your convenience. This means that if you make a purchase using our link, we’ll receive compensation at no additional cost to you. You can read our full disclosure policy. Paul was a Pharisee and persecutor of Christians. He believed that the early Christians, the people who followed Jesus, were heretics. And since they were preaching heresy, it was Paul’s job to hunt them down and arrest them so they could be imprisoned or murdered. He was a fanatic about it. Paul was there for the stoning of Stephen, the first Christian martyr in the Bible. He held the coats of the people who stoned Stephen. Because the people stoning Stephen didn’t want to get Stephen’s blood all over their coats. Let that sink in. They were good with ending a man’s life, but they didn’t want to have dirty clothes afterward. So Paul (who went by the name Saul back then) was on his way to hunt down some Christians in Damascus when God literally blinded him and spoke to him. Paul was blind for three days and then converted to Christianity, changed his name from Saul to Paul, and spent the rest of his life proclaiming the love of Christ. That’s an incredibly simplified version of it and I left a lot of awesome details out, but that’s it in a nutshell. Paul went from being Saul the Christian hater to Paul the Christian preacher. Now there are a ton of great stories in the Bible, but this one is in my top three because it gives me strength. When I am feeling down and useless because I’ve failed and sinned for the millionth time, I remember Paul. I remember that God chose a man to be his spokesperson who was literally hunting down Christians to murder them. He wanted a man to start churches and encourage Christians who watched an innocent man be stoned. When I remember all of my past mistakes and feel like God could never use someone like me. Someone who didn’t come from a great Christian family. Someone who has skeletons in her closet. Someone who made wrong choice after wrong choice until God revealed a path that was so obviously good. It was a way that seemed like a bright, sunny path compared to the darkness I was trudging through. And sometimes I look around at my life on this sunny path and I remember the darkness. It sometimes feels like the darkness isn’t just a place that I came through to be here in the light of God’s love and grace. It feels like I brought the darkness with me. It feels like it is in me just waiting to come out. I don’t know if everyone feels that way sometimes, or maybe it’s just us broken people from rough upbringings that feel like we don’t deserve happiness. I feel like I’m always waiting for the other shoe to fall so that I’ll be dragged back down into the darkness where I belong. I feel like I’m not worthy of this shiny, happy life. I’m not worthy of a husband that loves me. Of these healthy, precious children. Of this warm, cozy house. Of these paid bills and bought groceries. I feel like I’m not worthy of anything good because I didn’t earn it. It was freely given to me and I can never repay it. And growing up the way I did, that sort of grace wasn’t given. I was led to believe that everything was earned – attention and abandonment, affection and abuse. At times it feels laughable. Like I’ve been placed here as a joke. 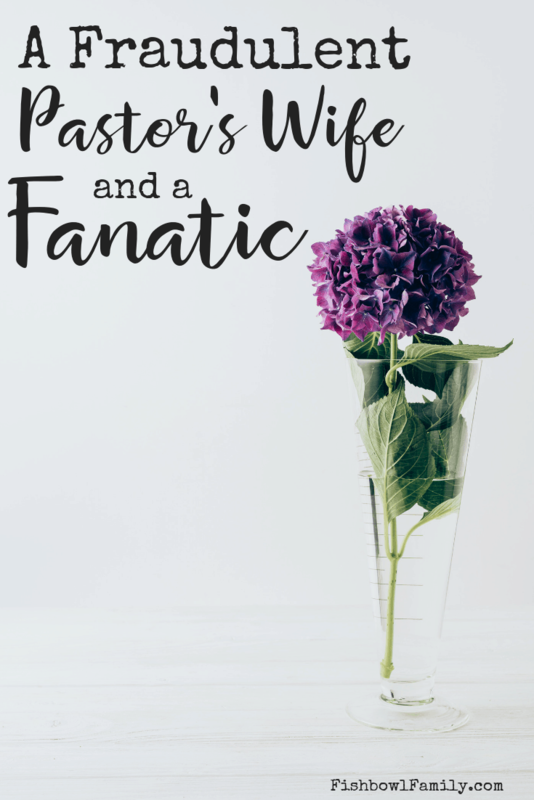 I can’t possibly minister to people or bear up my husband during ministry’s hard seasons. But then I remember Paul and think maybe that’s okay. Maybe God is using my brokenness and my history with the darkness to help me to minister to the broken. Perhaps having come through the darkness myself, I can help lead others out. Or maybe I can just show them that it’s possible. Maybe I can show them that God has declared that they’re worthy of His love and that He will give them the unspoken desires of their hearts. He can restore darkened minds and darkened hearts. He can take a woman who was certain she didn’t want kids because she knew she would mess them up, and lead her to want to be a stay at home mom to four kids. He took a woman who felt so broken she could never help someone else and gave her a heart for ministry. So, whenever you feel like you aren’t worthy – like you are a vessel that has been emptied to never be refilled because you are too broken or brittle – you aren’t. God is the potter and he can do amazing things with you. He changed Saul. Not only his name but also his entire life. He went from persecuting Christians to building them up in brotherly love. He became an advocate of the one he despised. And he led cities to Christ. So, when I feel like I am living a life that I feel unworthy of and ill-equipped for I think about Paul. When I feel like people are going to realize I’m a fraud, I think about Paul and remember that God’s grace is sufficient. When I think my life is scattered like a 2500 piece puzzle someone used as breadcrumbs on a cross-country trip so how can I possibly be a good example for others, I think about Paul. Then I remember that his life was all over the map (seriously, just look in the back of your Bible) and he still set an example for other believers. When I start to list women that are better mothers than me. I think about Paul and then I can see tiny markers of me in my kids. I see my nose or eyes or mouth. I see my spirit unmarked by darkness in them, and I know that God put me exactly where he wants me. He didn’t make a mistake. When I start to list of women who would make a better preacher’s wife than me. I think about Paul and I see that my husband, a genuinely good man who sees the best in people, needs a wife who has been knocked down and has learned to trust in God to pick her up. When you feel like you aren’t enough and never will be, think about Paul and let the same heavenly Father use you like He used Paul. What gives you strength and encouragement when you’re feeling inadequate in your life? Tell us in the comments!